Located around 30 miles north of Denver, Boulder isn’t just an offshoot of Colorado’s capital. Boulder boasts an array of its own unique activities and attractions, ranging from outdoor hiking around The Flatirons to cheering on the CU Buffaloes. Denver Charter Bus Company proudly serves Boulder, as well as most other cities surrounding the capital. 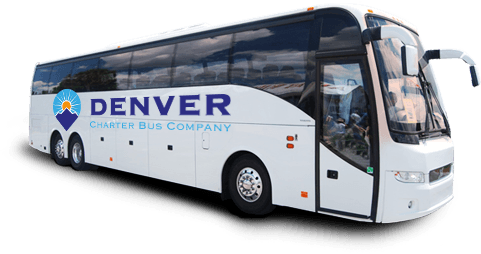 Whether you’re a Boulder local traveling around town for a group event or you’re traveling to the Mile High City for an outing, you’ll have comfortable and reliable transportation. Denver Charter Bus Company offers group transportation services for all types of events in and around Boulder. Travel with loved ones for a wedding or private vacation, transport your school group for a field trip, or even shuttle colleagues up to Boulder for an important business conference. Call our offices at (303) 495-2341 to get a free quote for your next Boulder trip. Organizing transportation for large groups can easily become a hectic task when you’re using public transportation or rideshare services, or if you’re figuring out carpool logistics. Although Denver is known for having some of the best public transportation in the country, large groups have fewer options once arriving in Boulder. Renting a motorcoach for your group travels in Boulder will not only keep your group together, but it’ll help eliminate the stress of navigating around the city with a dozen or so people in tow. A charter bus will keep everyone together, offering minimal opportunity for group members to get lost on the way to a big event. We have access to a variety of charter buses and minibuses to meet the travel needs of groups in Boulder. Rent a compact 18-passenger minibus to transport friends and fellow Buffaloes fans to Folsom Field for a big upcoming game. You’ll have a professional driver dedicated to your trip so you can enjoy a day of tailgating and cheering on the Buffaloes. Large groups traveling for an Open Space and Mountain Parks learning opportunity at Chautauqua Park would be best suited with a full-sized 56-passenger charter bus to comfortably accommodate students. Many of the buses we charter can be equipped with additional amenities like WiFi, on-board restrooms, power outlets, and entertainment systems. Students will stay comfortable on a climate-controlled charter bus rather than traveling around town in an outdated school bus. Boulder is a perfect location not only for outdoor lovers, but for anyone looking to plan or attend a unique event. Plan a wedding service along beautiful Boulder Creek or host a private company banquet or meeting at the historic Boulder Theater. Denver Charter Bus Company is here to provide the highest quality transportation services for your event guests or travel group. Our highly-trained rental experts are available around the clock to find you the best Boulder group transportation at the right price-point. Call us today at (303) 495-2341 to reserve your charter bus to Boulder!